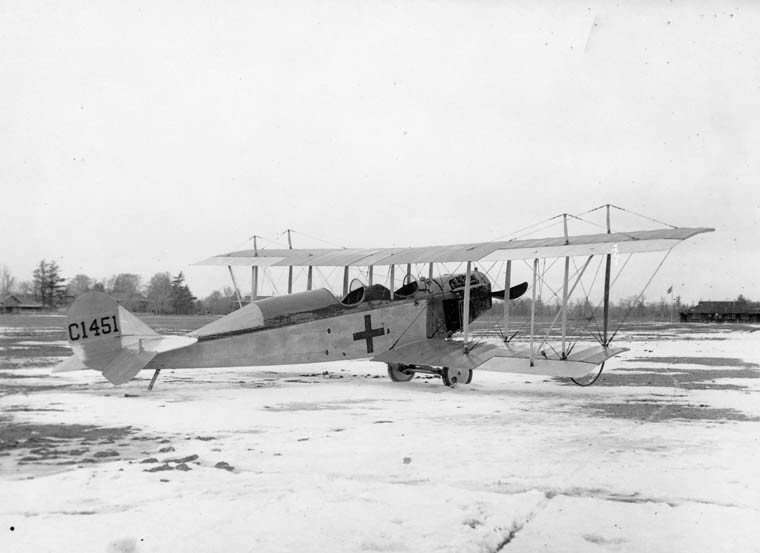 The Royal Flying Corps was the training wing of the British Royal Flying Corps, based in Canada. The BRFC was the forerunner of the Royal Air Force (RAF). 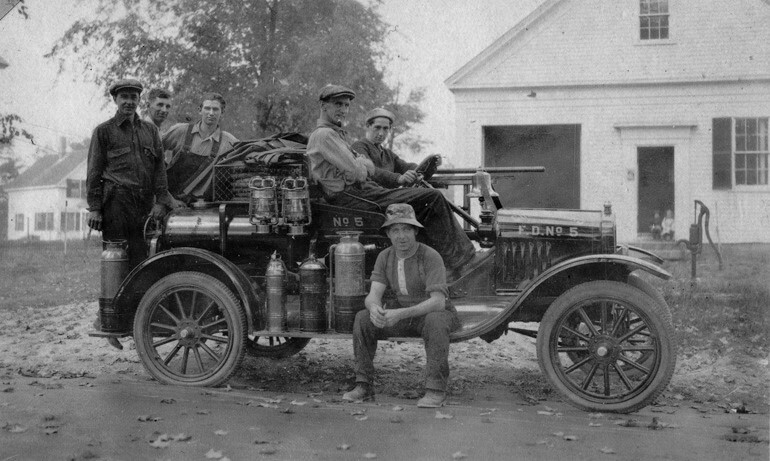 "Fire engine house and equipment, Camp Leaside, Ont. 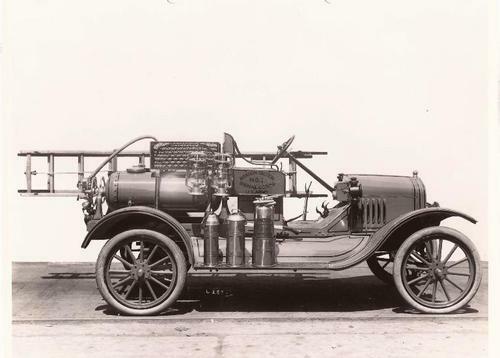 1918." 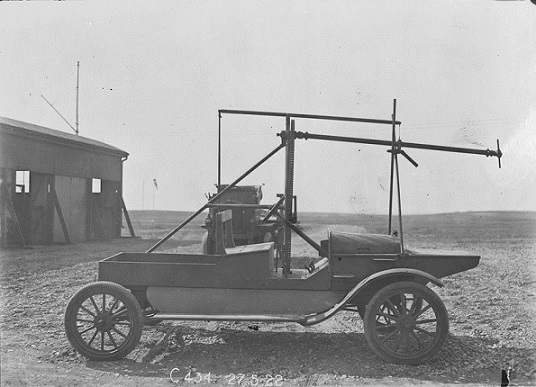 "Huck starting vehicle of the Canadian Air Board, 27 May, 1922." And if the pilot had to employ the services of the starting vehicle AND the fire/rescue crew AND he was lucky enough to survive, he would then have to endure the most harrowing part of his day, being strapped to the fuselage of another aeroplane for a trip to the field hospital! 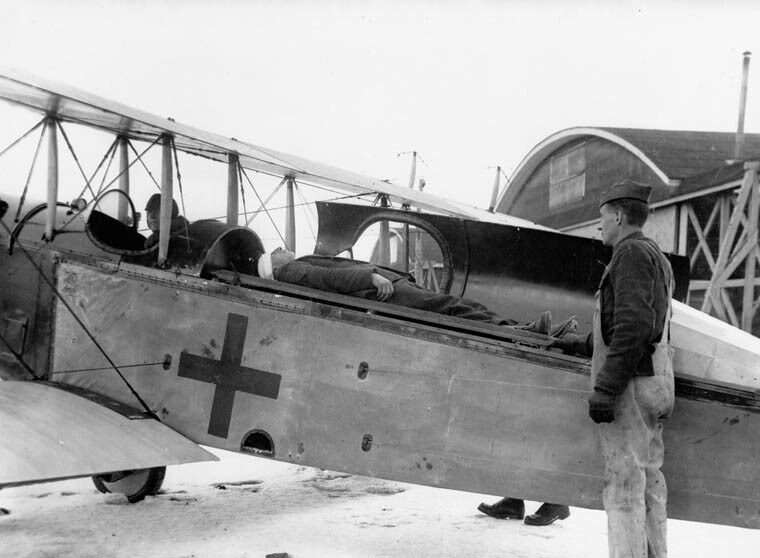 "RFC Canada Curtiss JN-4 used as an aerial ambulance. Camp Leaside, Ont. 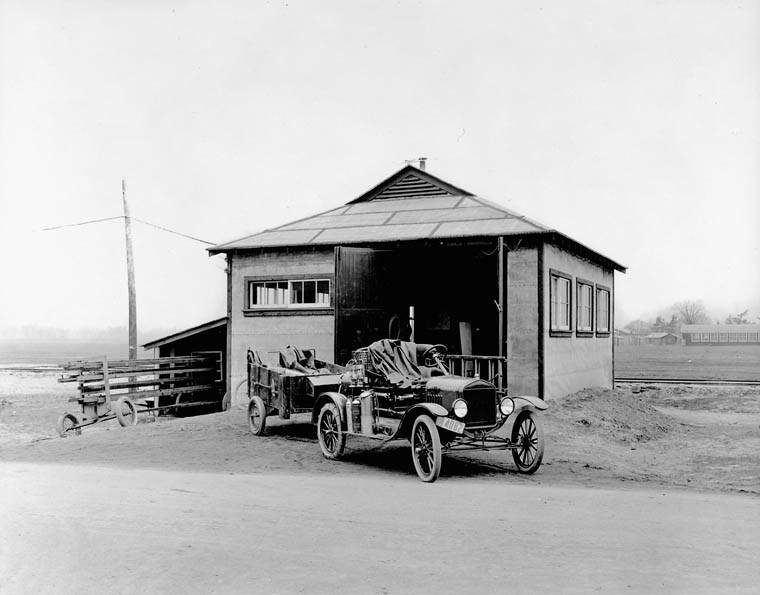 1918." There's snow on the ground in the last shot - will he survive the flight to hospital? Looks like there is a canopy over the "victim". Dogfight Dixon will live to fly again! heres another shot of the ambulance. I wonder how many times the locals, seeing this plane flying low, mistook that red cross for a Maltese one? Also, I'm afraid I misspoke when I said the injured pilot would be "strapped" in for transport- there's no straps. They didn't need no steenkin' straps! And another one (sorry I lost who posted that one). I wonder if ALF had a company across the border or if they sold the body for use on the Canadian Fords?